Carolyn Hewett has experience treating children and adolescents recovering from trauma and abuse, providing guidance and support to parents and families, and offering behavioral modification systems that enhance success in relationships. 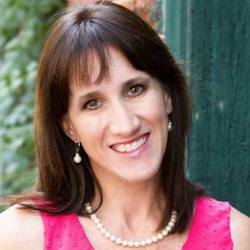 Carolyn also offers therapeutic mediation and counseling sessions in an effort to strengthen marriages and save broken families.She began a career of advocacy as an Exceptional Children’s teacher in the North Carolina public school system. She received her Master’s in Social Work at the University of North Carolina at Wilmington and provided in home and community supports to persons with developmental disabilities and mental illness. She then went on to become the lead clinician of the Psychiatric Residential Treatment Facility for adolescents with severe mental illness at Brynn Marr Hospital in Jacksonville, North Carolina. After several years, she accepted promotion to become the Director of Social Services at Brynn Marr, providing management and oversight of the psychiatric acute care unit. Carolyn has more recently served as a clinician for Access Academy day treatment program in Wilmington, supporting adolescents and teens with greater educational and emotional needs in the school environment. She has served as a leader in her church community as a Small Group leader and guest services host. She has knowledge and training in Biblical Counseling, Motivational Interviewing, and other strength-based, solution focused modalities. Posts by Carolyn . . .